Voodoo Tactical Reaper Pack | BUDK.com - Knives & Swords At The Lowest Prices! 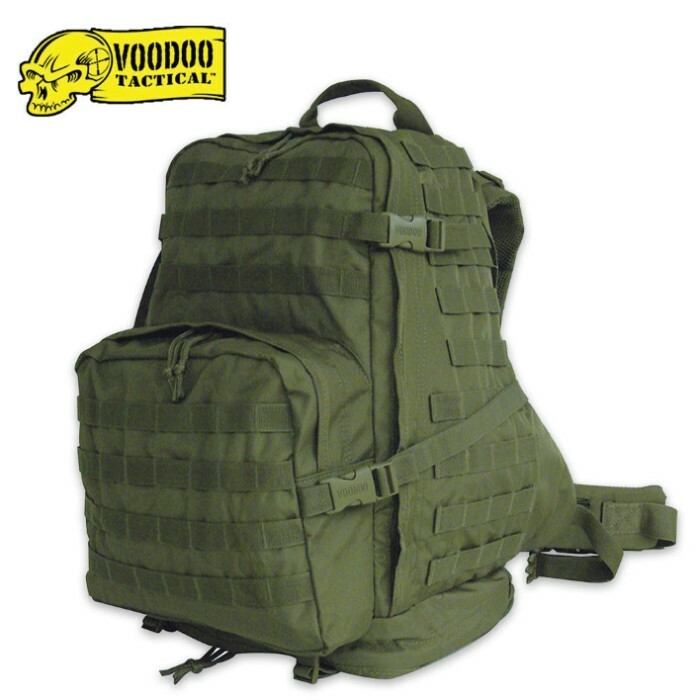 The Voodoo Tactical Reaper Pack is one of the largest packs you'll ever find. You might think you'll need your own mule to carry this giant pack with the 2500 cubic inch main compartment. Padded and adjustable shoulder straps will ensure you can carry the load without any additional stress on yourself.